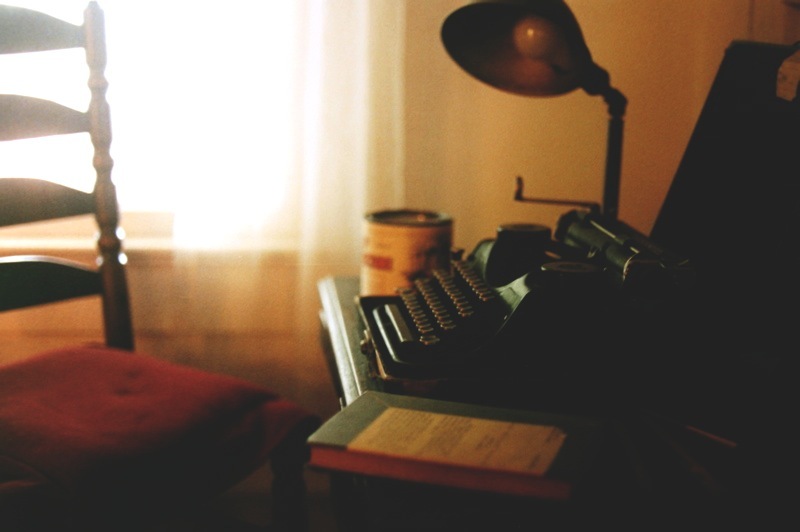 Memoir and autobiography are true accounts of the author’s life. 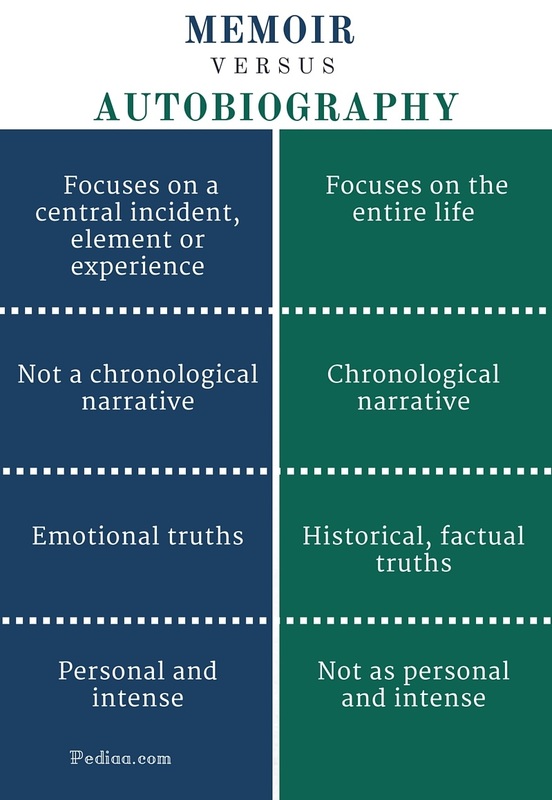 The main difference between memoir and autobiography is that memoir focuses on a single experience or an incident whereas an autobiography is a chronological narration of a person’s life story. However, the boundaries between these two genres tend to be blurred in some cases, and these two words are often used interchangeably by readers, writers as well as publishers and sellers. Memoir is a personal story of the author. This is why many people use the two categories memoir and autobiography as the same. Memoir is not a chronological narration like an autobiography. It focuses on one experience or incident. It may not be entirely accurate about history and information. It may be more biased towards the author’s or narrator’s emotional truth. A memoir can feel more personal and intense than an autobiography since it focuses more on the emotions of the author. A memoir can also start at any point in life and can niftily move around in time and place. An autobiography is a written account of the life of a person written by that person himself. The narrator and the author are the same in an autobiography. It is the life story of the writer. 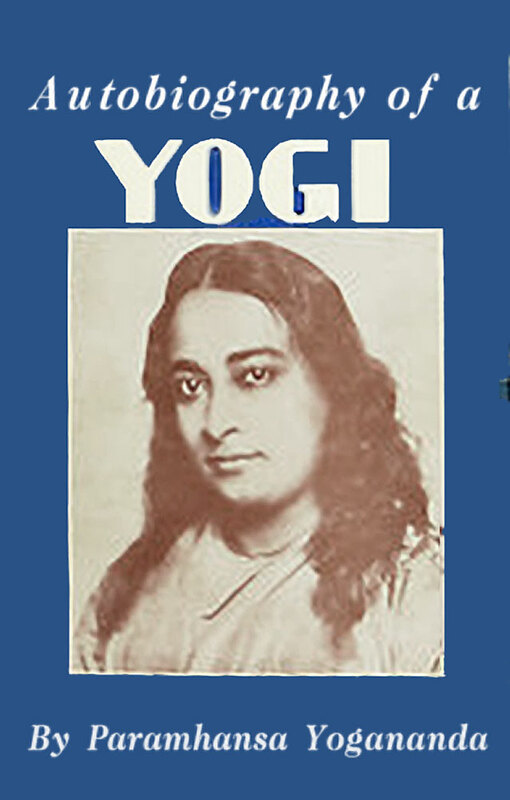 The author in an autobiography describes various events throughout his life – memories of his childhood, youth, and adulthood. It often has a chronological order, starting from childhood and ending in adulthood or old age. The term “Autobiography” first came into use in 1797 when William Taylor suggested the use of this word as a hybrid. Anne Frank’s “The Diary of a Young Girl”, Frederick Douglass’s “Narrative of the Life of Frederick Douglass, an American Slave”, Nelson Mandela’s “Long Walk to Freedom”, and Jawaharlal Nehru’s “An Autobiography” are some examples of well know autobiographies read by many people. Many celebrities, politicians, and other famous people are becoming more and more interested in writing their autobiographies. Some autobiographies available in the market today are written with the help of ghostwriters and collaborators. Memoir focuses on a central incident, element or experience. Autobiography focuses on the entire life. Memoir is not a chronological narrative. Autobiography is a chronological narrative. Autobiographies most often contain historical, factual truths. Memoir may feel personal and intense. Autobiography may not feel as personal and intense as a memoir.